A feng shui bagua mirror (pa kua mirror) is a powerful cure to protect against negative energy and create good fortune and harmony. This type of mirror protects a house or place of business from the negative energy known as sha chi or poison arrows. It's important to select the right type of bagua mirror for your needs. 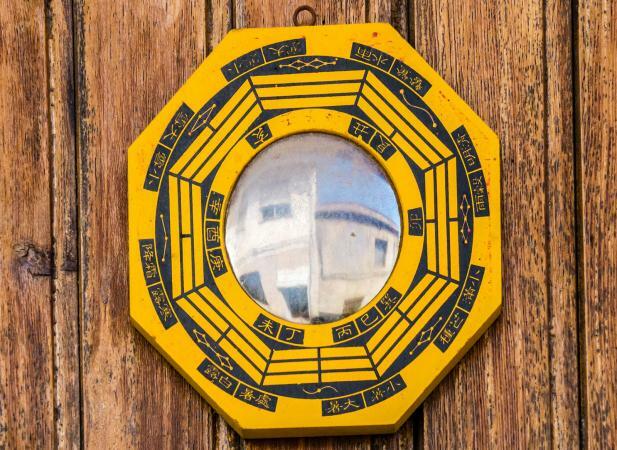 What Is a Feng Shui Bagua (Pa Kua) Mirror? A standard bagua mirror is octagonal with a wooden back. Eight trigrams surround the round mirror in the center, one trigram on each of the octagonal sections. Outside of the trigrams, toward the outer edge of the bagua mirror, may be a Luo shu (magic square) diagram with one symbol on each of the octagonal areas. There are three basic types of bagua mirrors. In a convex bagua mirror, the round mirror part at the center of the octagon looks like the back of a spoon; that is, it is rounded outward. Choose this type of mirror if you wish to reflect negative energy back to its source. Reflecting negative energy back to its source is an aggressive action, so many practitioners of feng shui prefer not to use this type of mirror except in dire circumstances. Using a convex bagua mirror can cause repeated bouncing of negative energy between poison arrows or other sources of sha chi and your spaces. Use only when the negative energy is extreme and cannot be resolved in any other fashion as using this type of mirror may make the situation worse instead of improving it. Examples of when energy may be excessively negative and require a convex mirror might include if your house faces a cemetery or some place with extreme negative energy, such as a hospital or court house. It's best not to use this type of mirror to reflect negativity directed by others towards you as it may make the situation worse. Because reflecting and bouncing negative energy is such an aggressive action, it may be best to consult a feng shui professional before using this type of mirror. With a concave bagua mirror, the round mirror part at the center of the octagon looks like the bowl of a spoon; that is, it is rounded inward. Choose this type of mirror if you wish to absorb and neutralize negative energy. This type of mirror draws in negative energy and neutralizes it instead of reflecting it back out into the world. Using a concave bagua mirror ensures you remove negative energy directed at the spaces where you work, play, or live without sending negative energy back out into the universe. Neutralizing the energy in this way is desirable because it doesn't bounce it back and inadvertently send negative energy towards others. Concave mirrors are excellent to neutralize poison arrows pointed at your space, such as a roofline or a T in a road. Concave bauga mirrors can also neutralize energy spikes from power lines. In cases of extremely negative energy, such as directed and targeted negativity, it may not be a powerful enough remedy or you may need more than one mirror or a larger mirror to absorb and neutralize the energy. A flat bagua mirror has a flat round surface in the center of the bagua octagon. This looks just like a bathroom mirror or looking glass. Flat bagua mirrors are considered neutral. They deflect negative chi without absorbing or reflecting it. If you are unsure which type of mirror to use, choose a flat mirror, which can remedy the situation without using excessive force. Bagua mirrors may come in two different types: pre-heaven (also called early heaven) bagua and post-heaven (also called later heaven) bagua. 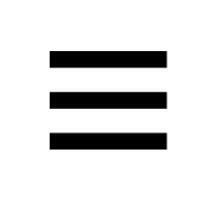 The difference has to do with the sequence of trigrams around the outside of the octagon. 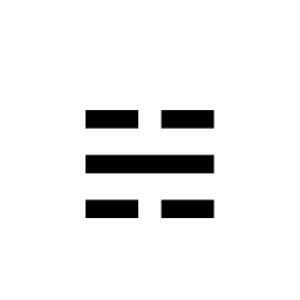 The pre-heaven bagua has the trigram (also called a gua) heaven (quian) at its center top, which is three solid lines stacked one on top of the other. The early heaven bagua symbolizes balance of elements (yin and yang), so an early heaven squence bagua mirror is excellent when balanced energy is called for. This is the best type of bagua mirror to use for protection against negative energy. This is the best type of bagua mirror to hang over a door or window to neutralize or balance poison arrows or negative chi. The post-heaven bagua mirror has the trigram fire (li) at top center, which is two solid lines surrounding a dashed line. This bagua represents cycles of energy, such as birth, life, death. Use this type of a bagua mirror to bring about changes in energy. If you're not sure which type of energy is called for - balanced or dynamic - then choose whichever instinctively works for you. You may also select your bagua mirror based on colors or materials on the frame. Bagua mirrors may come in a variety of frame colors or materials. Select the color and material of your bagua mirror frame based on the direction the door or the window you will hang it above faces. Use a traditional bagua map to determine which sector rules the placement in order to choose the material. There is generally a hook placed on the back to ensure hanging the mirror properly. Always hang a pre-heaven bagua mirror with the heaven trigram at the top, which is the one with the three solid lines, and the kun (earth) trigram on the bottom. Always hang a post-heaven bagua mirror with the fire trigram on the top and the water trigram on the bottom. Hang baguas on the outside of your home above the door or window that has the negative energy directed at it. Do not hang bagua mirrors indoors without consulting a feng shui professional. In very few cases, a professional may suggest hanging a bagua mirror indoors, such as in an apartment building with interior hallways or in a window when it is impossible to hang a mirror outside. Always center the bagua mirror above the door or window. Do not use bagua mirrors as home decor. They are tools for a specific purpose and not meant to be decorative. Practitioners of feng shui must understand the power of feng shui bagua mirrors and make certain they use them correctly. Never use them frivolously and, if in doubt, consult a qualified feng shui professional.